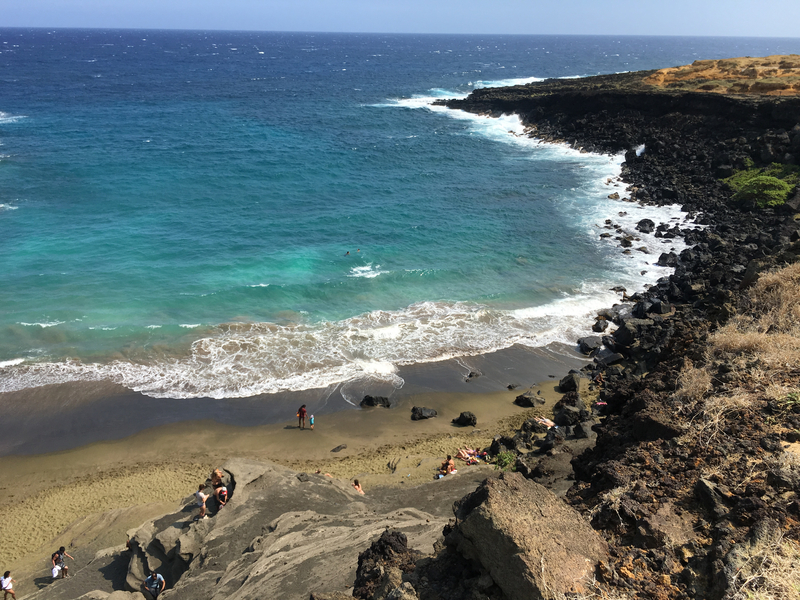 If you're headed south, Green Sand Beach is a day hike not to be missed. The dirt road in is about a 45 minute hike along the most beautiful coastline, with grasses, lava rock, and beautiful waves lapping along patches of beach. You will be rewarded with a beach sparkling with green olivine crystals you won't find anywhere else. Once you get to Green Sand beach area, there is a significant drop down to the actual beach from the viewing area. Bring plenty of water and a picnic lunch, you won't want to leave. If you're pressed for time or need help with the hike, there are Jeeps who will provide transport.